Making a statement like that might seem like a strange thing for a copywriter to say but it’s true. No matter how great the copy you write, not everyone is going to want your product or be ready to buy your product. It might simply be the case that your product isn’t the right fit for them. So don’t be surprised when you don’t get a 100% conversion rate. What prompted this post? Well, it was a conversation I had with some girl friends over dinner last night. Many of us around the table were avid readers so it wasn’t long before the debate about Kindle or book began. To illustrate how a marketing campaign can fail with some people, I’ll give you my thoughts about what’s best—the Kindle or a book. Let’s take a look at the Kindle to start with. It sounds absolutely fantastic. So why haven’t I rushed out and bought one yet? For me, a book is so much more than just a way of conveying a story. But for me there’s no substitution for the smell of a book, the feel of its pages and the sense of being privy to someone’s innermost thoughts. It is exciting to hold a book, become immersed in its words and to turn each page with trepidation never quite knowing what’s coming next. 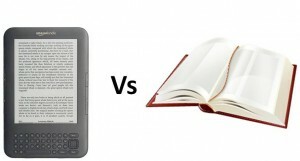 So no matter what Amazon.com says technology will never (for me) replace a book. Mind you I did make the transition from vinyl to CD to music downloads so here’s a challenge for Amazon.com why not send me a Kindle to try out and see if you can convert me.